Dixon’s European sojourn goes awry when she’s arrested for corporate espionage. She’s just an innocent Australian teacher working abroad. Or is she? 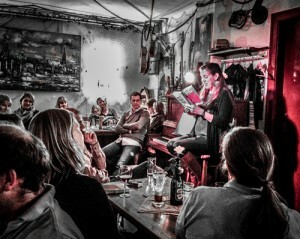 Actress Julia Holmes reading at the launch of Dixon Grace. For Dixon, it’s a matter of wrong place, wrong time. 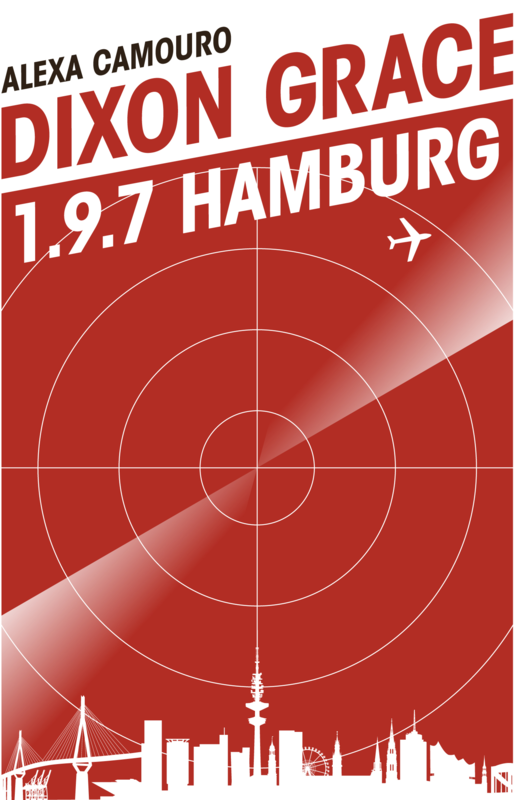 The investigating officers are convinced she’s stolen the navigation and guidance technology from the plane manufacturer Flussair, and that she’s behind the murder of a top-ranking executive. All the evidence points to her, but she insists it’s all a misunderstanding. She breaks out of custody in order to prove her innocence. But there are sinister elements at every turn, including a rising Indian corporation called Nayakall, a people-smuggling prostitution ring in Hamburg, a language school up to no good and a boyfriend with a dark secret. Who can Dixon trust? Will she get out of Hamburg alive? 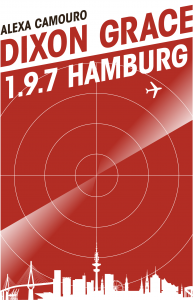 An Australian writer, Alexa Camouro’s book Dixon Grace: 1.9.7 Hamburg is the first in a planned trilogy of books featuring the Dixon Grace character.